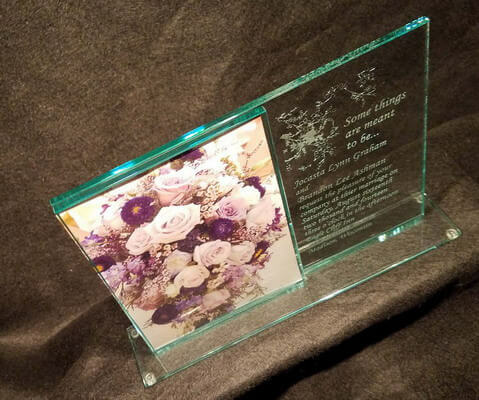 This frame can be engraved with any combination of text and design. 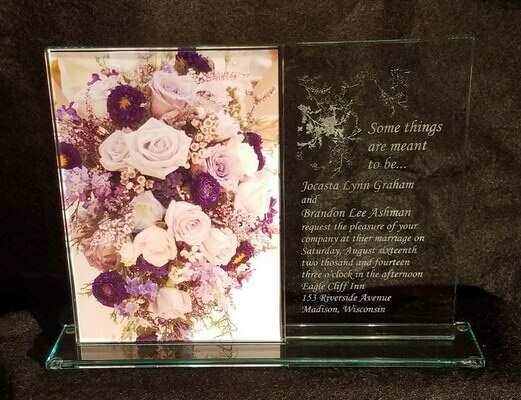 This frame is the perfect size to showcase your wedding invitation, birthday announcement, anniversaries or any special occasion. The overall size of the frame is 7.25 in x 20 in. Color can be added on a quote basis, please email us at info@fantasyglassworks.com with your ideas. This frame comes with a gift box.